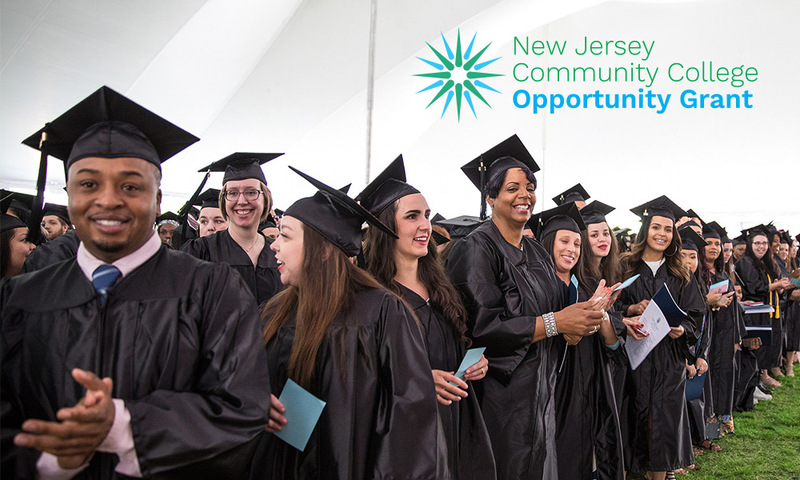 (Gloucester Township, NJ) – Camden County College is one of 13 community colleges in New Jersey where qualifying students can apply for Community College Opportunity Grants (CCOG) beginning this Spring 2019 semester. This program’s eligibility cut-off is Feb. 6, tomorrow, and anyone who has not taken advantage of the initiative at that time will be shutout from signing up. These “last-dollar” grants cover remaining costs of tuition and approved education fees after all other financial aid grant awards have been applied to a student’s term bill. This first-of-its-kind opportunity is available to qualifying families under the tuition-free community college pilot program known as the Community College Innovation Challenge. Students with adjusted gross incomes between $0 and $45,000 and who are enrolled in at least six credits at Camden County College in Spring 2019 will be eligible to receive CCOG grants. Students will be required to maintain satisfactory academic progress to remain eligible. In order to qualify, students must still complete a Free Application for Federal Student Aid (FAFSA), including state-specific questions. CCOG Pilot Schools were selected based on proposals that were jointly reviewed by the Office of the Secretary of Higher Education (OSHE) and the Higher Education Student Assistance Authority (HESAA). Proposals were evaluated by a standardized rubric following the criteria announced in the Notice of Fund Availability that was posted in July 2018. HESAA estimates that New Jersey will provide CCOG awards to approximately 13,000 students at the selected pilot schools, in line with the funding level appropriated for this purpose in the state’s Fiscal Year 2019 budget. All 19 of New Jersey’s community colleges applied to participate in the Community College Innovation Challenge. The selected colleges received a $250,000 grant for student outreach, recruitment, support, and further expansion. Camden County College Camden County College is one of the largest community colleges in New Jersey and ranks among the top nationwide in terms of associate degree graduates. Thanks to its technology-rich physical resources – located in Gloucester Township, Camden and Cherry Hill – and its highly-qualified, dedicated employees, the college has created a tradition of quality education and a reputation of agile, responsive service. Camden County College sustains a vibrant academic community characterized by imaginative teaching, caring student services, energetic management and collegial discussion of diverse ideas and opinions. More information can be found at www.camdencc.edu.